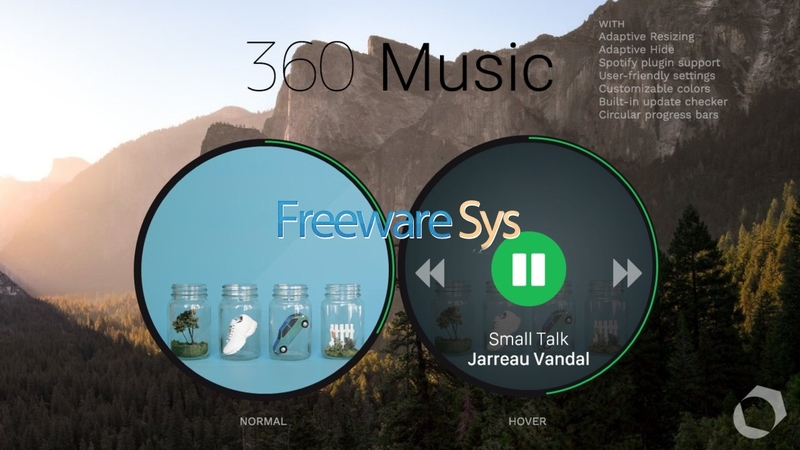 A circular now playing widget with a large focus on album art. More options, such as skipping the track and pausing it can be found by hovering over it. 0 on: "360 Music for Rainmeter [v5.0]"